This week Auckland Libraries are celebrating Vaiaho o te Gagana Tokelau, Tokelau Language Week for 2015. So we're featuring a Tokelauan album from our heritage music collections, the 1999 album Ki mua from the celebrated group Te Vaka. Ref: Te Vaka, Ki mua, 1999, Sir George Grey Special Collections, Auckland Libraries, CD TEV. Today, October 25, marks the 600 year anniversary of the Battle of Agincourt, a major English victory in the Hundred Years’ War won by King Henry the Fifth. 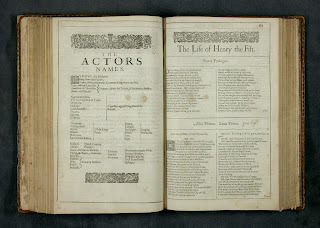 This gives us a great excuse to have a look at a couple of our editions of Shakespeare’s Henry V.
The play Henry the Fifth as we now know it first appeared in 1623 in what is known as the First Folio. Ref: William Shakespeare, First Folio Mr. William Shakespeares comedies, histories & tragedies, pp.68-69, 1623, Sir George Grey Special Collections, Auckland Libraries, 1623 SHAK. This Sunday Auckland Libraries will be down at Viaduct Harbour for A day at the beach. Ref: Stapley Farmer, Apprentices picnic, 1960s?, Sir George Grey Special Collections, Auckland Libraries, 1056-32. To celebrate over 100 years of New Zealand’s beach fashion and the exhibition 'At the Beach', the Maritime Museum will be bringing the beach to the city centre for Labour weekend. The exhibition will be on display across the Maritime Museum, and has been devised and produced in conjunction with the New Zealand Fashion Museum. 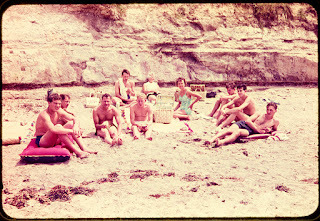 Ref: Group in car at Takapuna Beach, c1960s, North Auckland Research Centre, Auckland Libraries, T6843. This week is E Faahi Tapu he Vagahau Niue 2015, Niuean Language Week for 2015. As a result of Sir George Grey’s collecting of Pacific Islands language materials, Auckland Libraries has a collection of Niuean language Bibles. Today we’re going to look at three of our earliest publications in the Niuean language. The following descriptions are taken from the Historical catalogue of the printed editions of holy scripture in the library of theBritish and Foreign Bible Society compiled by T.H. Darlow and H.F. Moule. In the introduction to the catalogue T.H. Darlow writes that The British and Foreign Bible Society specifically exists to promote missionary versions of the scriptures. St Mark’s Gospel, published in 1861. 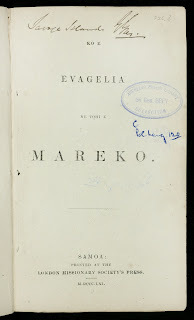 Ref: Ko e evagelia ne tohi e Mareko, p.1, 1861, Sir George Grey Special Collections, Auckland Libraries, 226.3 KOEE. On 20 April, 2015, we were extremely fortunate to have Colleen Fitzpatrick PhD, visiting forensic genealogist and author from the US, come and speak for us at Central City Library. 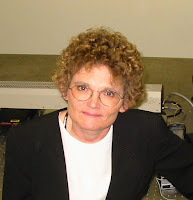 Colleen is a nuclear physicist, who is a consultant in some high profile cases that involve using both genetic and forensic genealogy to solve a case. She has a really impressive CV. Forensic genealogy, DNA and genealogy, and The dead horse investigation: forensic analysis for everyone. Colleen is a talented researcher and an excellent speaker with a wide choice of subjects to choose from and has a real talent for making the complicated and the technical both easily understood and entertaining. Fortunately, her visit to us coincided with our "pilot" scheme and we were able to video her talks which you can find on the Auckland Libraries YouTube channel. This week marks Ni vosa Vaka-ITaukei ni vanua o Viti or Fiji Language Week for 2015. This is timely as we can happily share the news about some nineteenth century Fijian language items in Sir George Grey Special Collections that have recently been individually catalogued. These Fijian language items were part of a larger collection of nineteenth century pamphlets in English, Polynesian and Melanesian languages collected by Sir George Grey. They include grammars, primers, vocabularies, and religious texts. 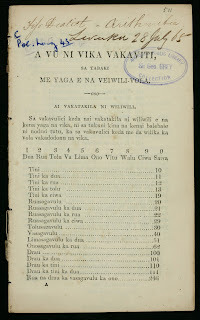 The pamphlet shown below is an arithmetic textbook published in Levuka in 1865. Ref: A vu ni vika vakaviti, p.1, 1865?, Sir George Grey Special Collections, Auckland Libraries, 372.72 AVUN.